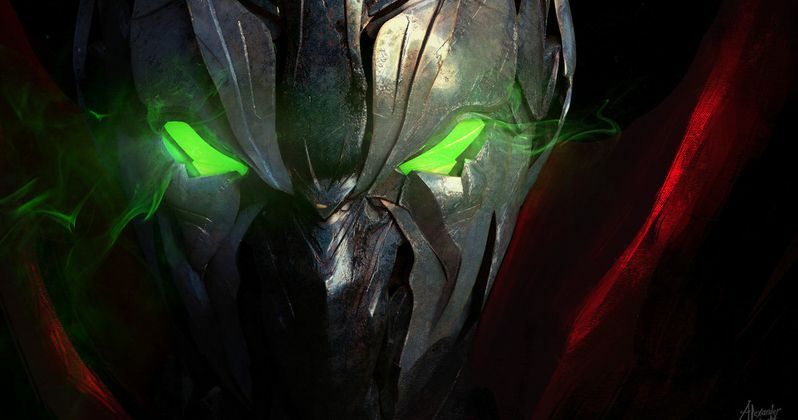 We are all still waiting for the much talked about Spawn reboot that someday will (hopefully) come. Until then, the only thing we have to get us by, outside of the comics and teh HBO animates series, is the 1997 Spawn movie, which most of us would like to forget. Fortunately, a YouTuber has given us a new take on the 1997 version of the movie which makes us even more excited about the possibility of a new Spawn movie. A fan by the name of Tim Gonzales recently uploaded a new version of the 1997 Spawn movie trailer to his YouTube channel. Even though he only used footage from the movie as we know it, somehow, he made it look totally and completely modern, not to mention awesome. Granted, some elements still look dated, but he completely avoided using any of the utterly ridiculous elements of the movie that made it less than great. Instead, this is a tease of what could have been and what very well may be in the future, to some degree. The original attempt to bring Todd McFarlane's Spawn to the big screen wasn't exactly a home run. It really wasn't even a base hit, if we're being honest. Not only did the movie underperform at the box office, bringing in a total of $87 million from a $40 million production budget, but it is not considered to be a good movie by fans or critics. The movie currently has an abysmal 19 percent approval rating from critics on Rotten Tomatoes, as well as a terrible 37 percent audience approval. To put it another way, Gonzales has really managed to polish a turd. For years now, creator Todd McFarlane has talked a lot about the long-in-development reboot of Spawn, but nothing solid has ever materialized. We recently got an update on the movie from the man himself on AMC's Geeking Out, which sounds really interesting and very different from the original. Here is what he had to say about it. "You're never going to see a dude in a rubber suit....This is going to be my Jaws shark. In the background, there's this thing moving around, this boogeyman. That boogeyman just happens to be something that you and I, intellectually, know is Spawn. Will he look like he did in the first movie? No. Will he have a super villain he fights? No. He's going to be the spectre, the ghost." Unfortunately, he didn't offer any word on when we can expect the Spawn Reboot or how far along it is. So we are going to have to wait to see the Jaws version of Spawn that Todd McFarlane is promising. In the meantime, you should definitely check out Tim Gonzales' modern version of the 1997 Spawn movie trailer for yourself.